Sonora is a beautiful city surrounded by all the splendors nature has to offer. If you need some ideas on how to spend your time in Sonora, California, check out this handy little guide. Have you been searching for that perfect family-friendly vacation to take this summer? You’ll need to find the perfect location that has something the whole family will enjoy. Look no further than the city of Sonora, California. 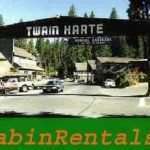 Located in the middle of the state only two hours away from Sacramento. Sonora offers a unique experience unlike any other place in California. Whether you choose to dedicate your whole trip to Sonora or spend a few days here on your Californian vacation, you won’t be disappointed. Do you want to know more? 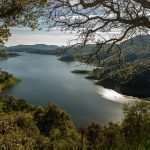 Keep reading to discover some of the best things to do in Sonora, California. Do you love the idea of watching happy pooches strut their stuff in a parade dedicated to them? If you just so happen to find yourself in the area in April, you may get to witness this fantastic event. “Who Let The Dogs Out” is an annual parade which aims to raise money for local dog charities. Locals dress their pups up in adorable and creative outfits and walk them in a parade. At the end of the event, awards are even given out for the best-dressed dog and the best-looking dog. While not technically in Sonora, this parade takes place in the nearby town of Twain Harte – a 17-minute drive away, making it a great afternoon trip. If you’re looking to work a bit of culture into your trip, the Sierra Repertory Theatre is a great place to visit. It may not be as glamorous as Broadway, but their dedicated staff and performers put on several shows per year. The best part is that the shows are affordable as well as professional. An opening weekend ticket only costs $25, and there are discounts for children, seniors, and groups. It’s the perfect way to spend one of your nights in Sonora. Exploring a new city is great, but sometimes you need to take a break and breathe the fresh air mother nature has to offer. Dragon Gulch trail is the perfect chance to do just that. There are over 3 miles of stunning trails that can give you the perfect view of Sonora and the surrounding mountains from afar. Are you not a huge hiker? Don’t worry! There are a few different trails you can take which vary in difficulty. Some trails are even paved or surfaced, and part of the Creekside trail is ADA accessible so the whole family can enjoy this outing. When you think of a California vacation, the railroad may not be the first thing that comes to your mind, but it has a long history in the area around Sonora. Railtown 1897 is a 26-acre historical park that houses an impressive collection of trains and other railroad machinery. Look closely, and you may recognize this as the backdrop for some TV shows and movies, such as Little House on the Prarie and Back to the Future 3. The park is laid back, so take a self-guided tour or ask one of the many volunteers to show you their favorite parts of the park. If you go at the right time, you might have an opportunity to take the 45-minute train ride that’s considered to be one of the best train rides in Gold Country. The California Gold Rush is perhaps one of the most famous parts of California’s history. But did you know there’s a side to that which isn’t so well-known? The Tuolumne County Museum is one of the best things to do in Sonora, CA. This repurposed 1857 county jail is a great backdrop to learn all about African-American Gold Rush history. You’ll also hear about how William Suggs, a former slave, was able to start his own business, buy a mansion, and helped overturn local school segregation. Sometimes the best parts of a vacation are the ones that aren’t planned. Sonora has a diverse and lively downtown area – you never know what you’ll stumble across. While there are many modern aspects to downtown Sonora, it is mostly a historic area. You’ll find streets teeming with history and culture, along with modern restaurants, bars, galleries, and boutiques. There are also tons of festivals and events happening that can really give you a taste of the local culture. You’ve heard of beer tasting and wine tasting, but what about hard cider tasting? That’s right, this is a fun play on your typical winery tour. At the Indigeny Reserve, you can taste some handcrafted hard cider while gazing out at the breathtaking 160-acre apple orchard. Not only is the hard cider delicious, it’s also organic, gluten-free, and sustainably grown. If you want to explore these wonderful apple orchards, feel free to pack a picnic basket and enjoy lunch among the crisp apple trees. No trip to Gold County would be complete without an interactive gold-themed tour. That’s exactly what you’ll get at Gold Prospecting Adventures. This is one of the best things to do in Sonora CA to learn about history and gold. Their guides are dressed in period costumes which helps to set the scene as they tell you all about the history of the Gold Rush. When you’re done learning about the gold, you can pan for your own treasure. Roughly 300 ounces of gold have been found on the premises, so keep your eyes peeled! If you’re looking for the perfect vacation to take your family on this summer, consider visiting Sonora, California. This town is rich in history and culture, so there is no shortage of things to do. 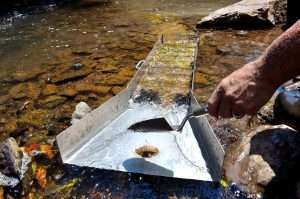 Some of the best things to do in Sonora California include visiting Railtown 1897 State Park, sampling hard cider at Indigeny Reserve, and panning for gold at Gold Prospecting Adventures. Have we convinced you to visit Sonora? Check out our local cabin rentals to get the perfect accommodation for your trip.